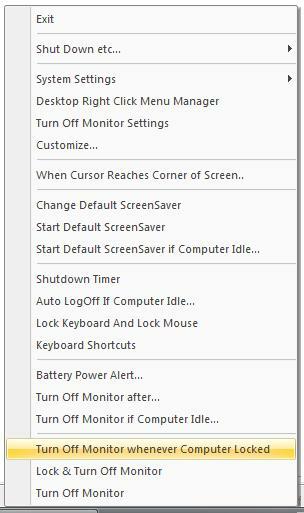 Press the Configured System Wide Hot Key in Turn Off Monitor Settings. Configure the Utility to Switch Monitor Off when mouse reaches Top Left. Or Monitor Off can be initiated after n minutes. The Utility can also be configured to Switch Monitor Off after n idle minutes (i.e. when there is no mouse or keyboard input). 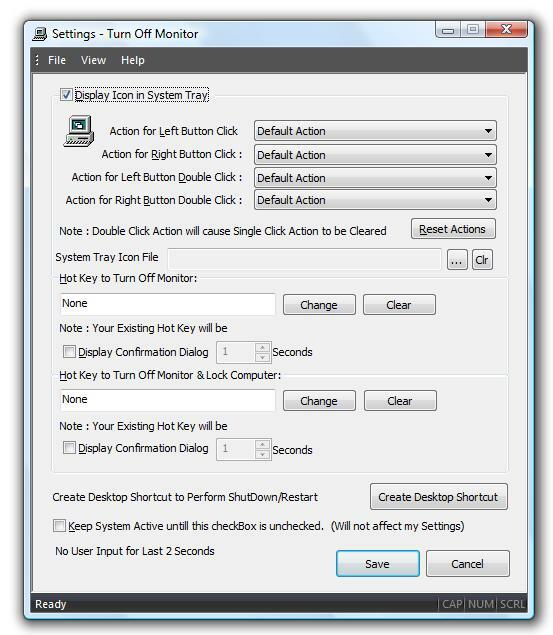 Configure the Utility to Switch Monitor Off when System Tray Icon is double clicked. 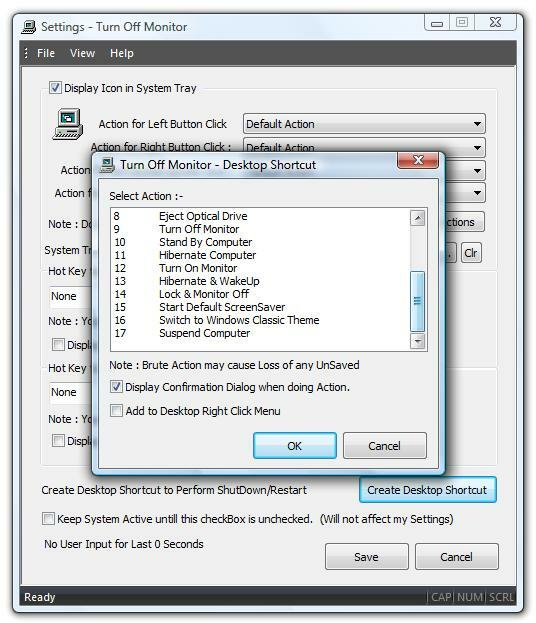 Right Click on System Tray Icon and select Turn Monitor Off. Turn Off Display when nobody is using computer / laptop. In case you face any issues / feel that if another related feature would be useful to you, please do write to us. Download Free Trial of Turn Off Monitor Utility Software Now. Register your Copy of the Software Utility by paying in $5.00 only. After Registration an email will be sent with registration details to your PayPal email id. Locate Us : Monitor Off with Shortcut Key , Hot Key or manually.